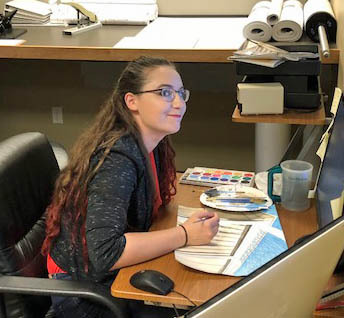 We would like to thank our summer intern, Payton Prosser, for her help with the design of this quarter’s Construction Update newsletter. Payton joins us as a 4th year architecture student at KU. She has been working with our Project Managers and the office staff to gain insight into the construction side of the industry. Welcome, Payton, and Thanks! !